We honestly were thrilled when Icha & Evan decided to pick and apply Betawi traditional culture into their wedding ceremony. 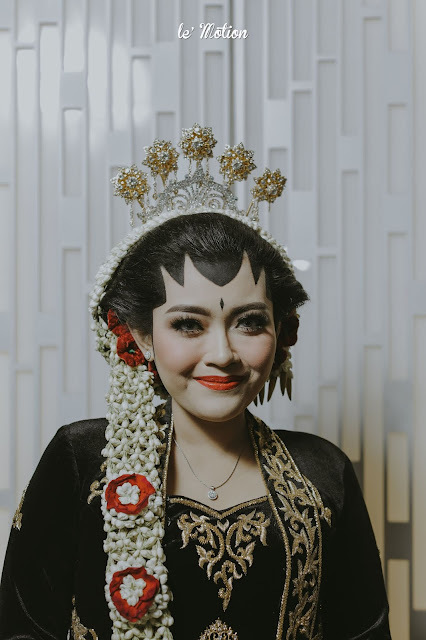 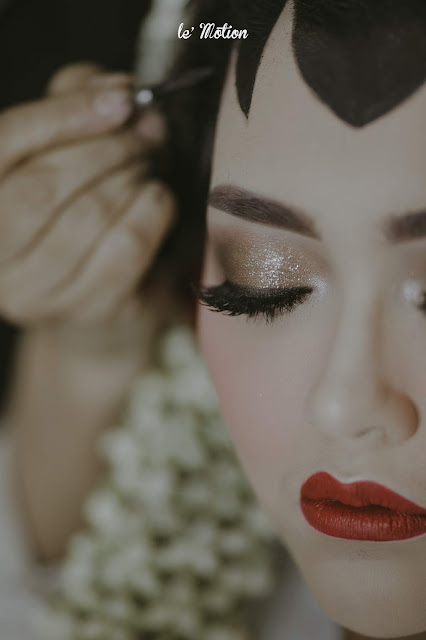 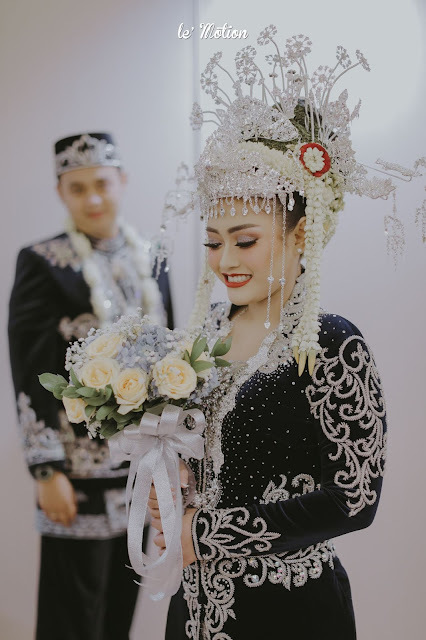 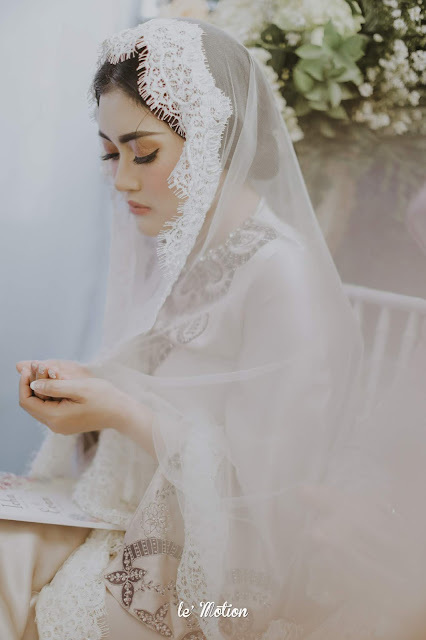 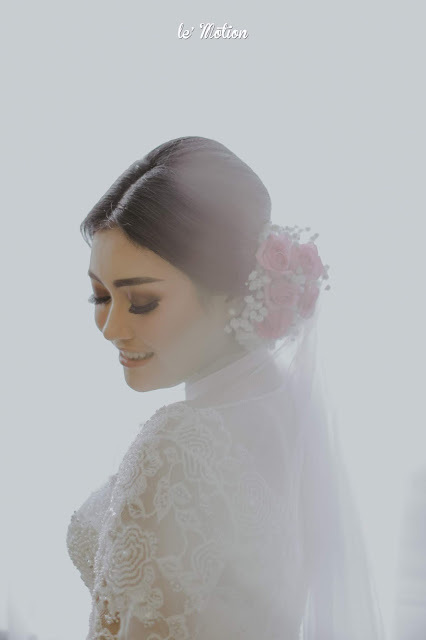 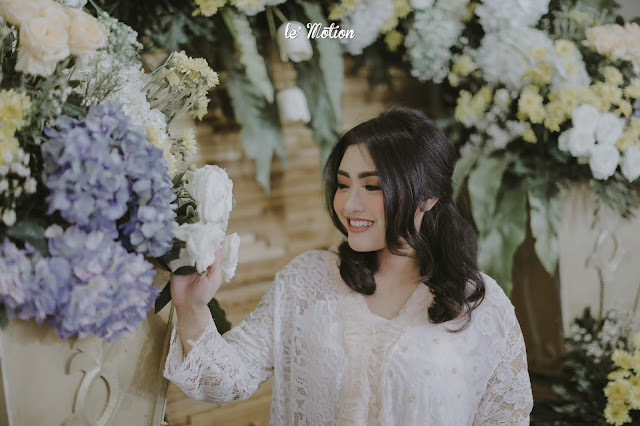 We particularly find Betawi cultures really attractive; we even have had Betawi-themed photoshoots in collaboration with several other vendors in the past (Click here to see our aforementioned work). 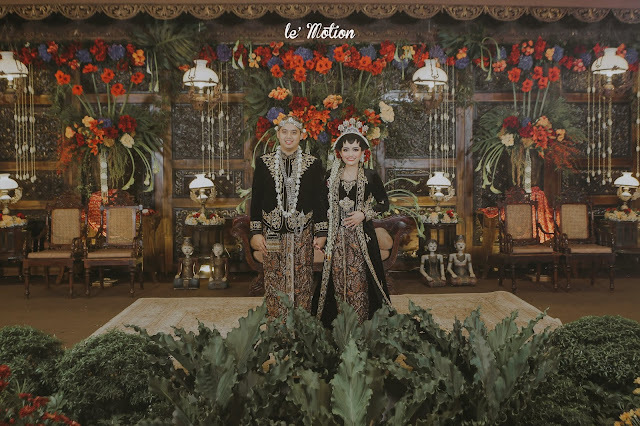 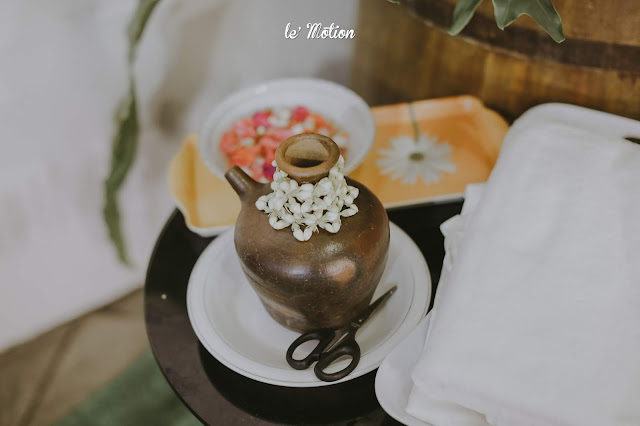 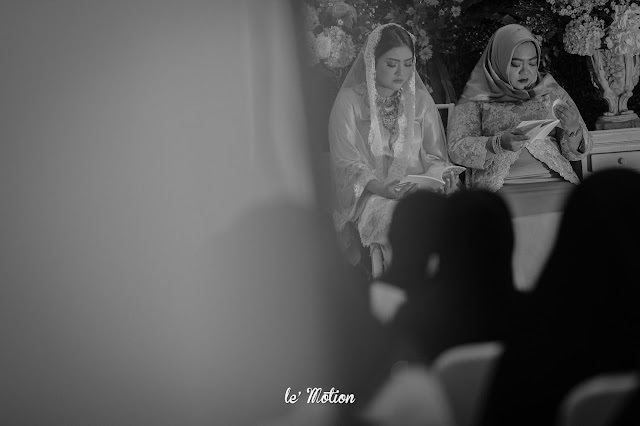 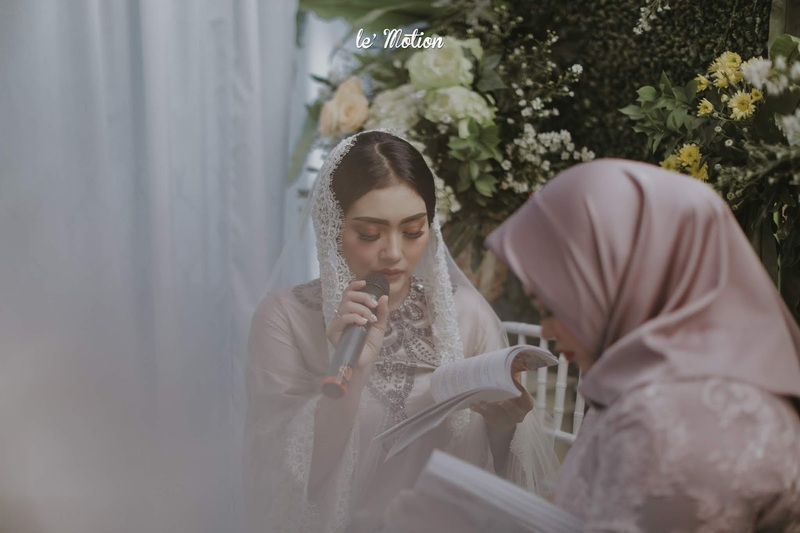 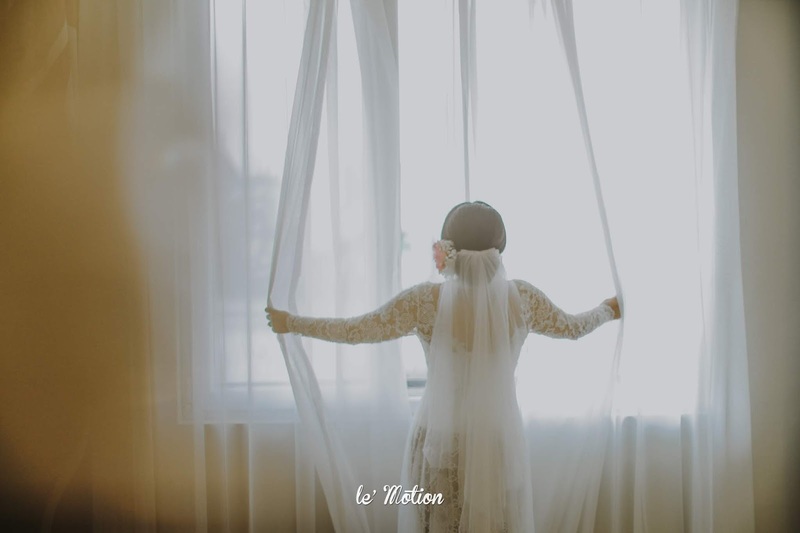 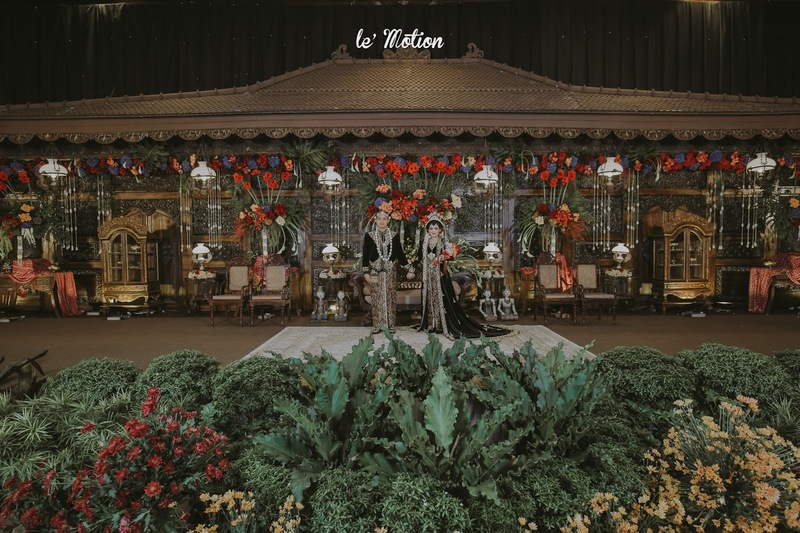 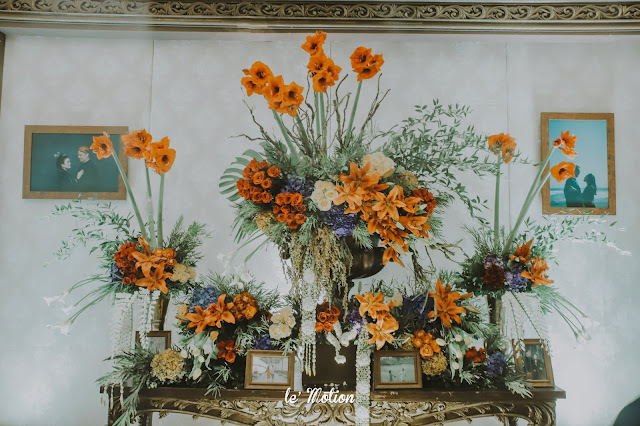 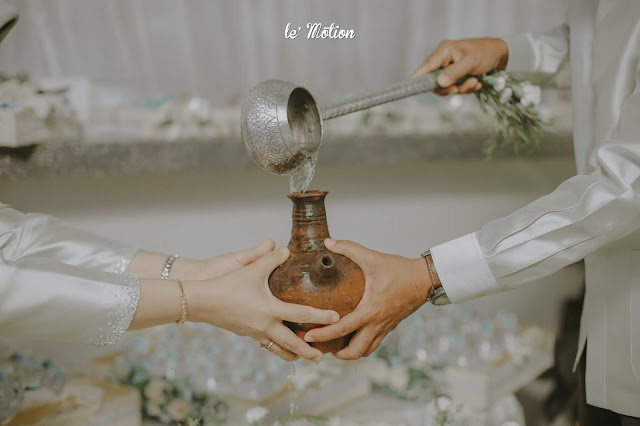 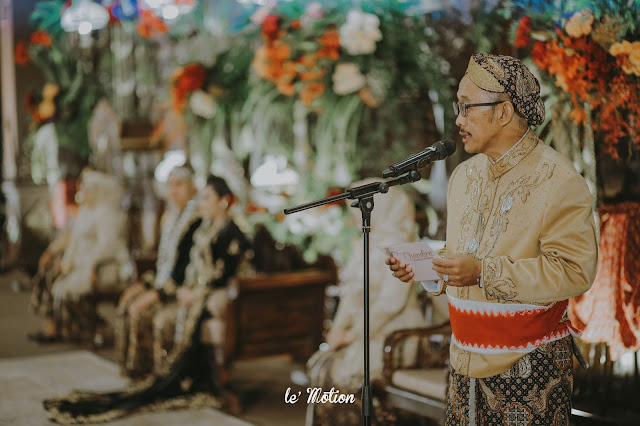 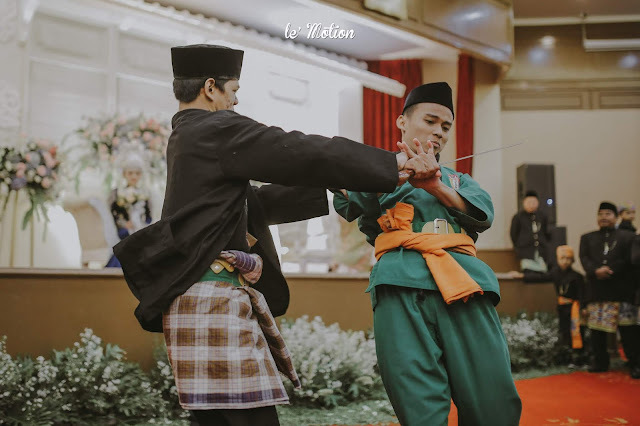 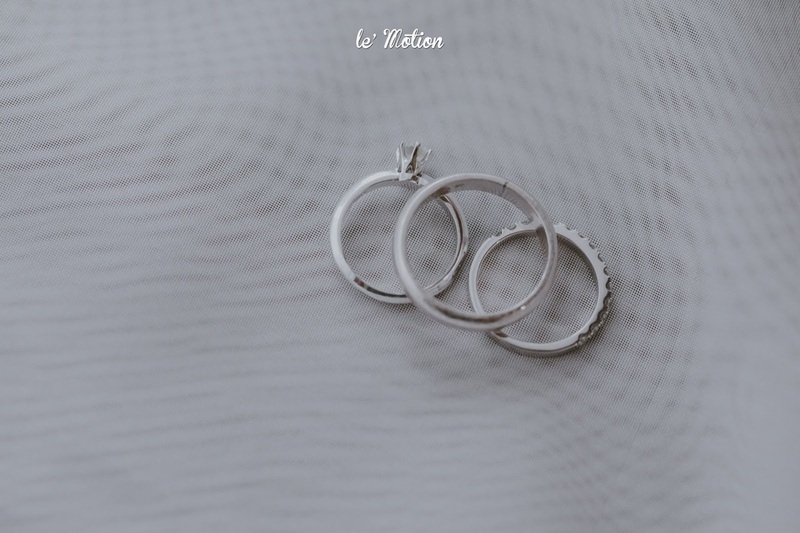 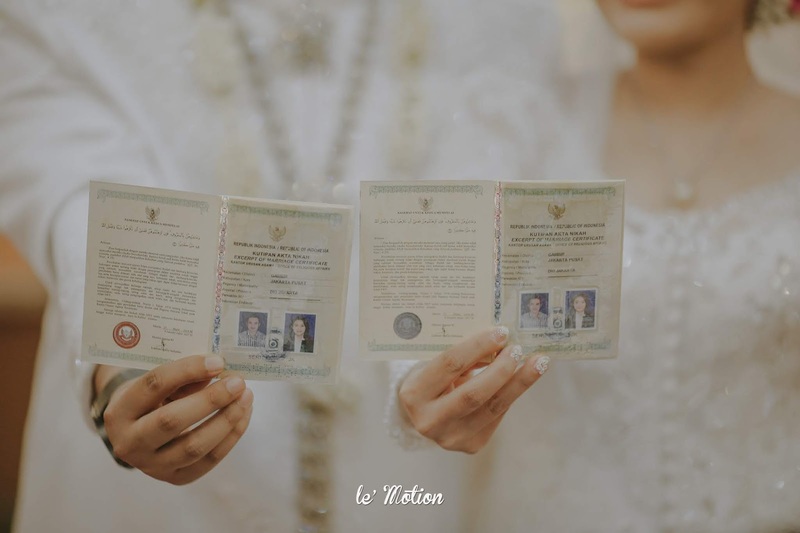 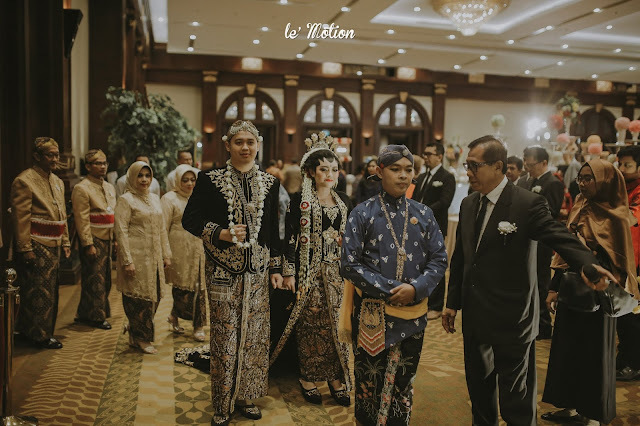 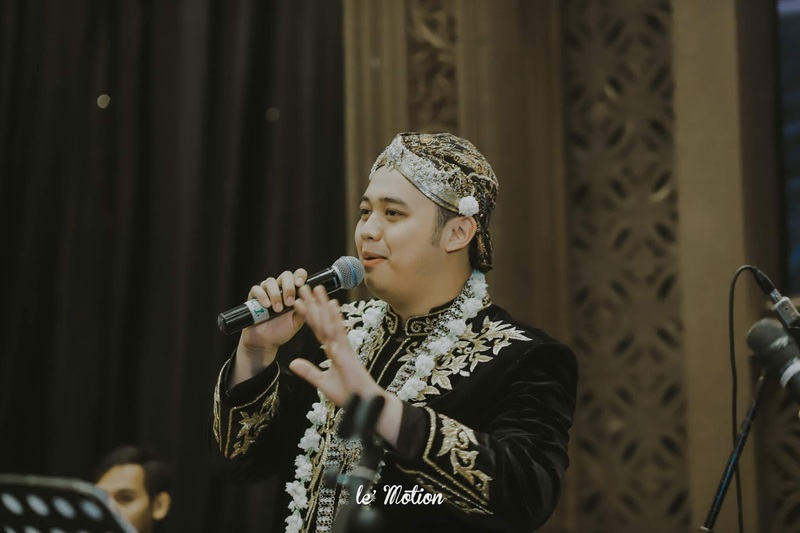 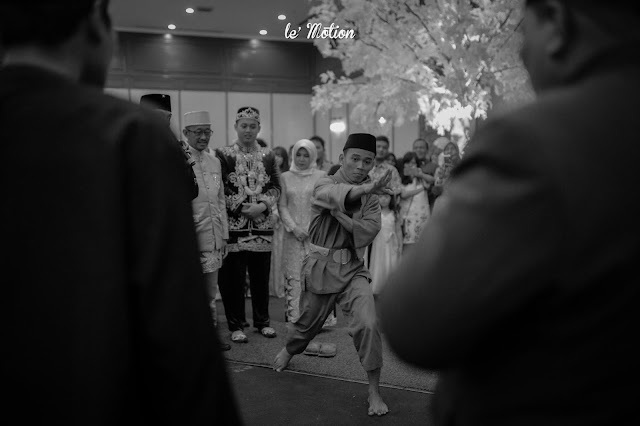 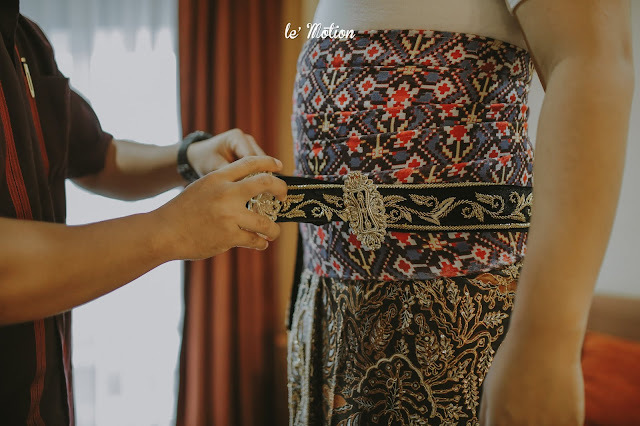 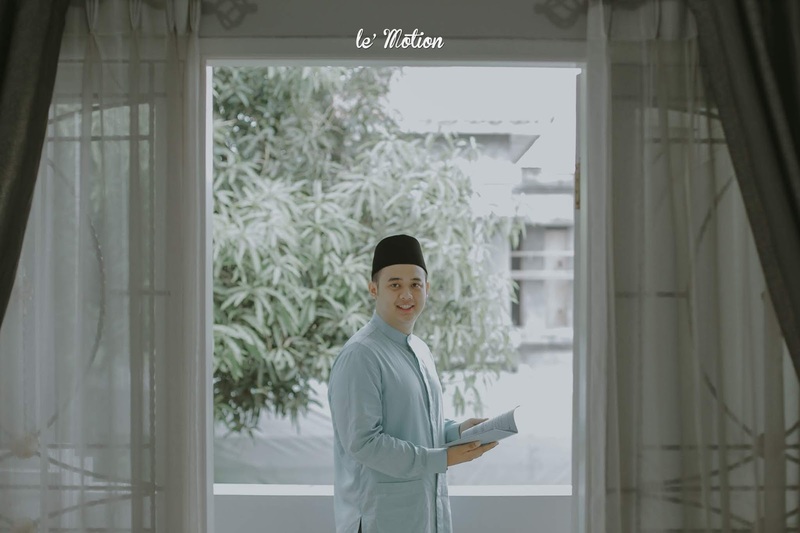 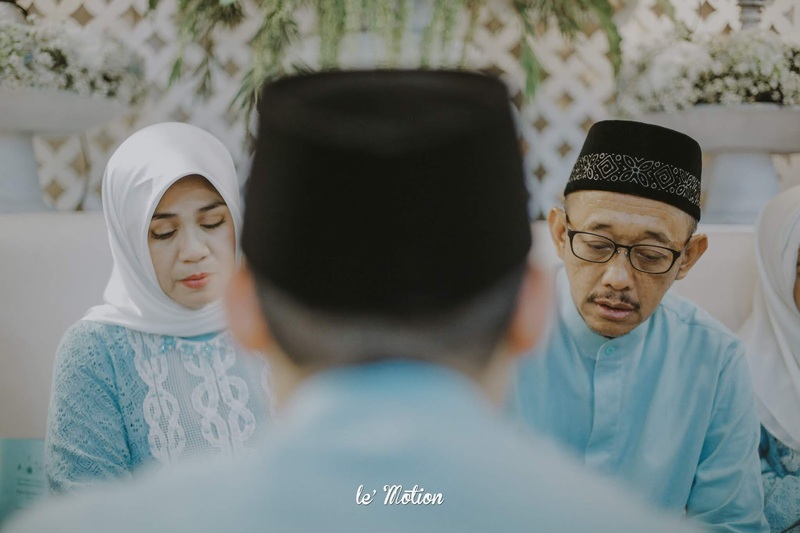 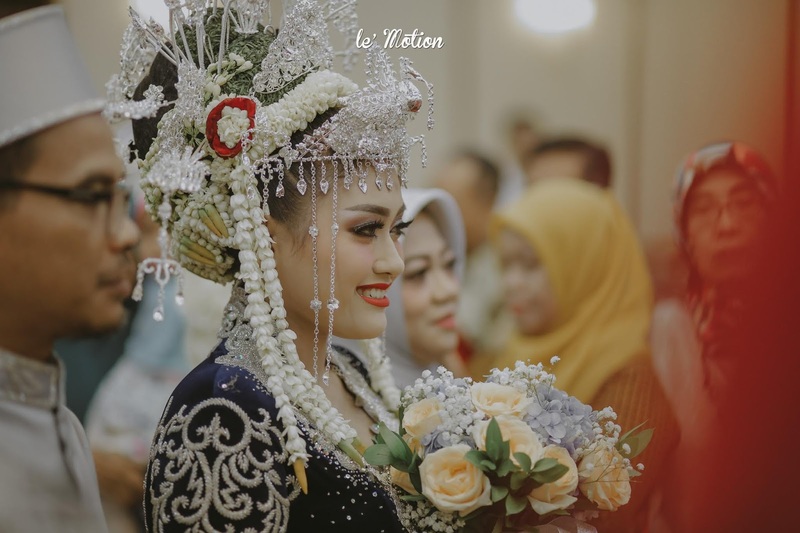 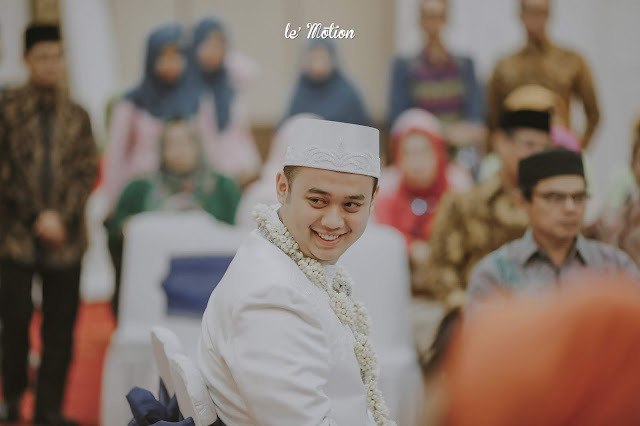 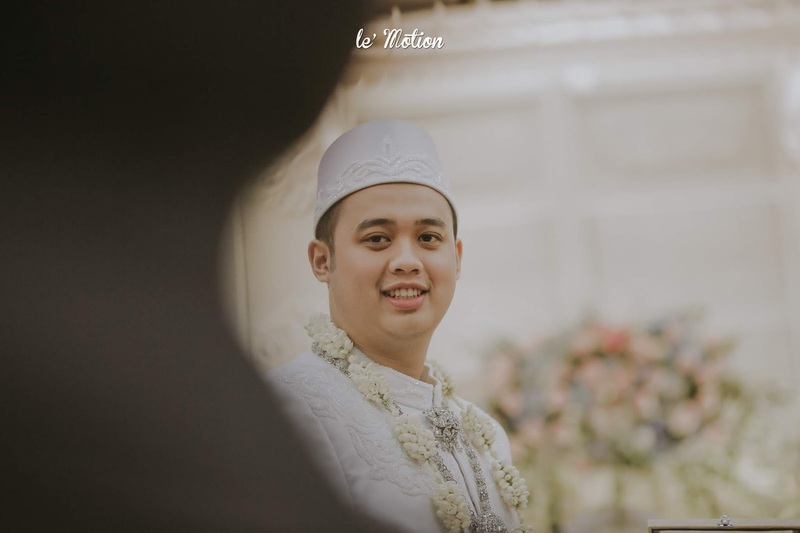 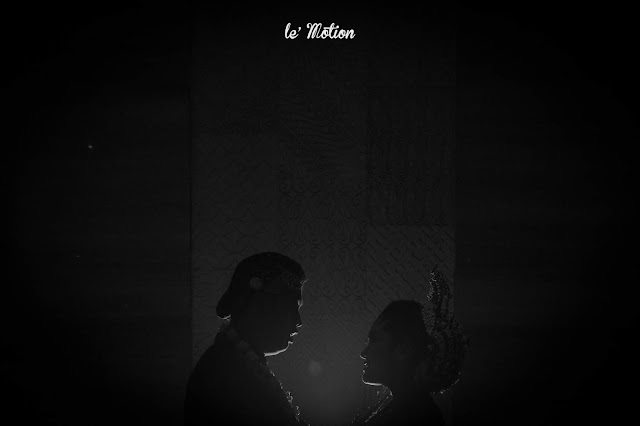 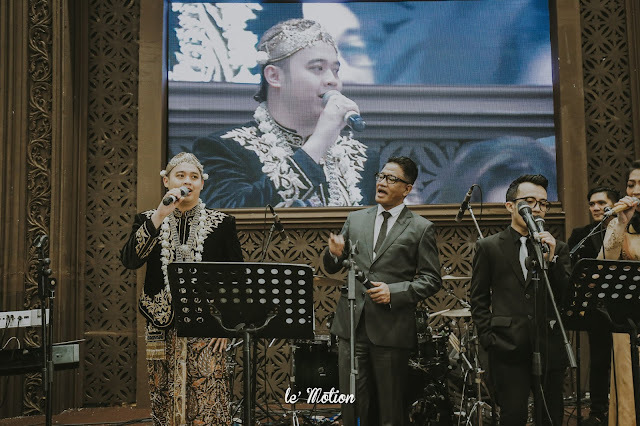 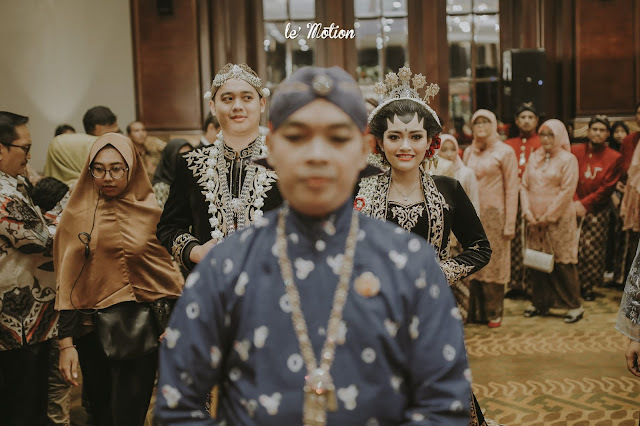 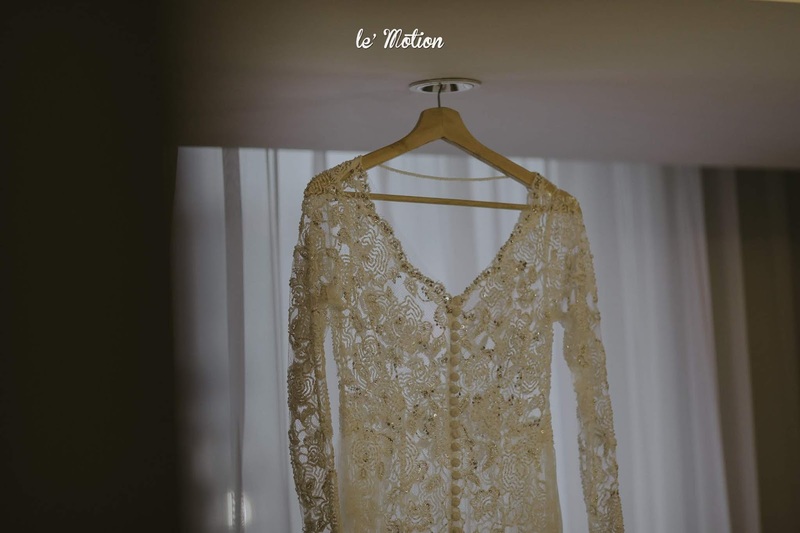 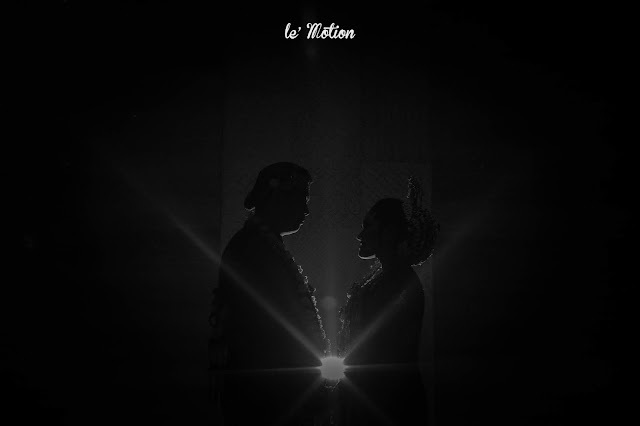 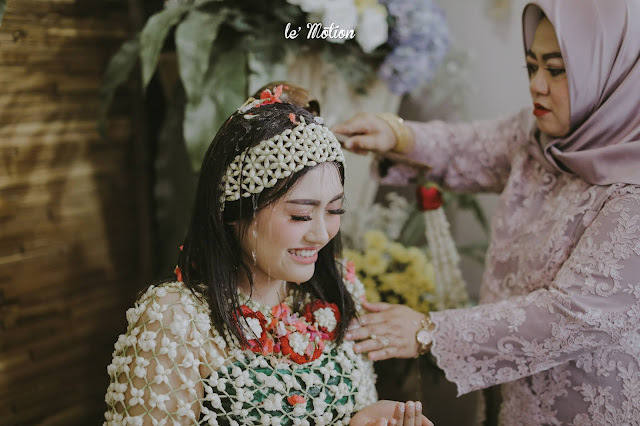 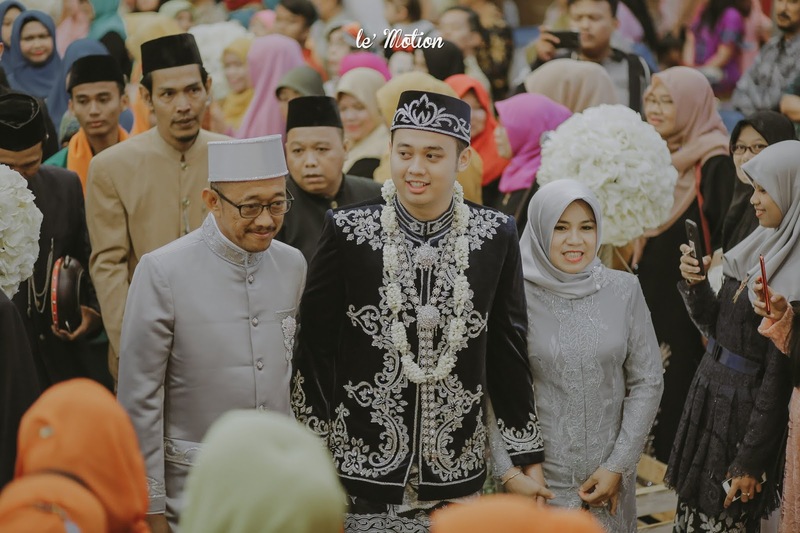 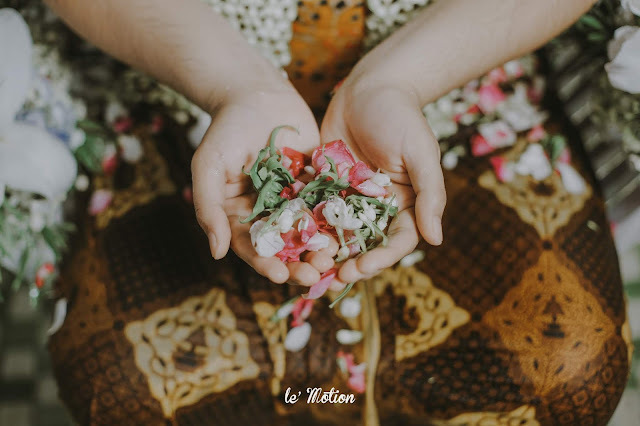 The reason of our fondness of Betawi culture is simply because Le' Motion was founded in Jakarta, yet we did not get many opportunities to take part in Betawi weddings. 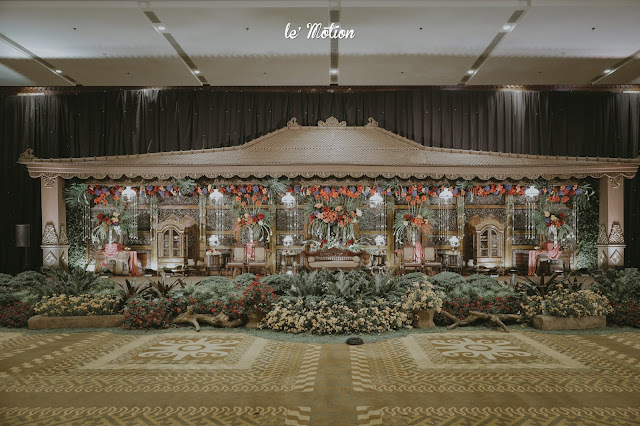 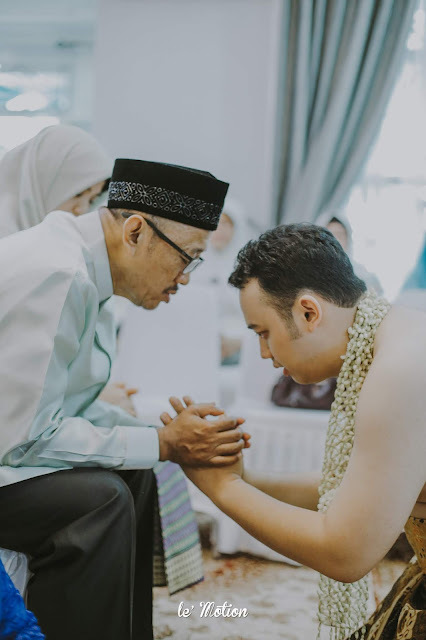 Traditional Betawi weddings would be incomplete without the notable Palang Pintu ceremony, where the groom and his families will be blocked from entering the bride's house until the groom complete some tests from the bride. 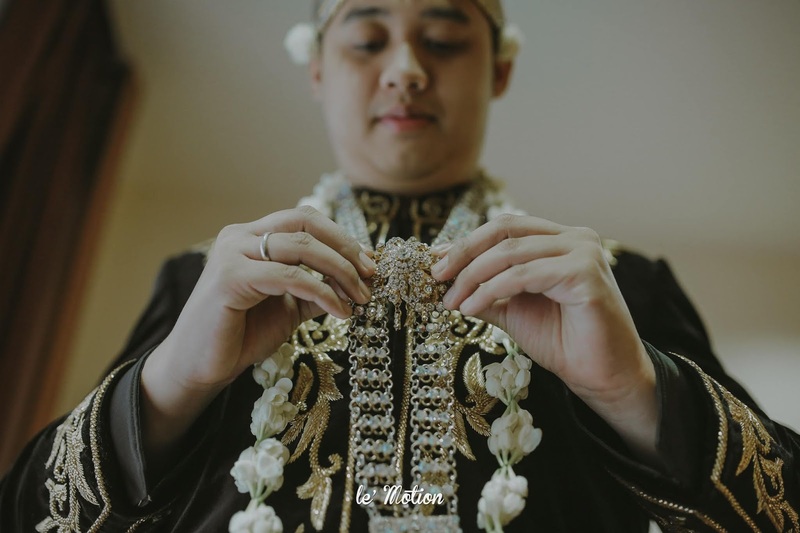 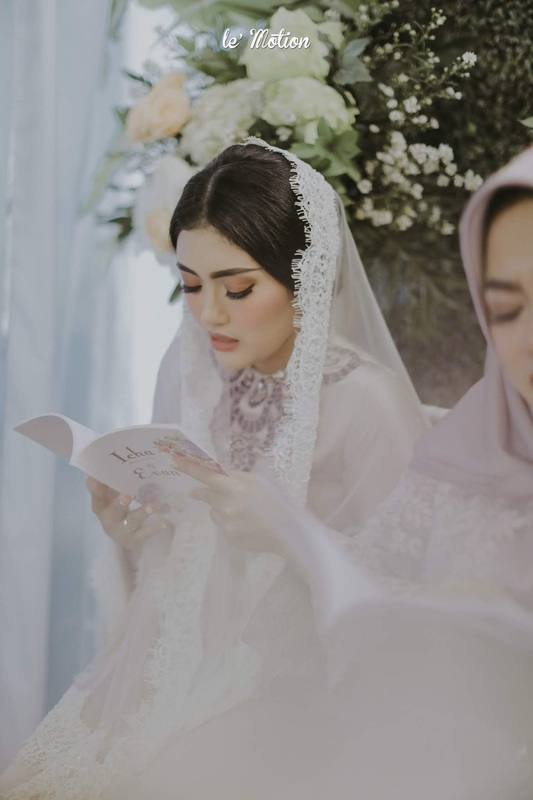 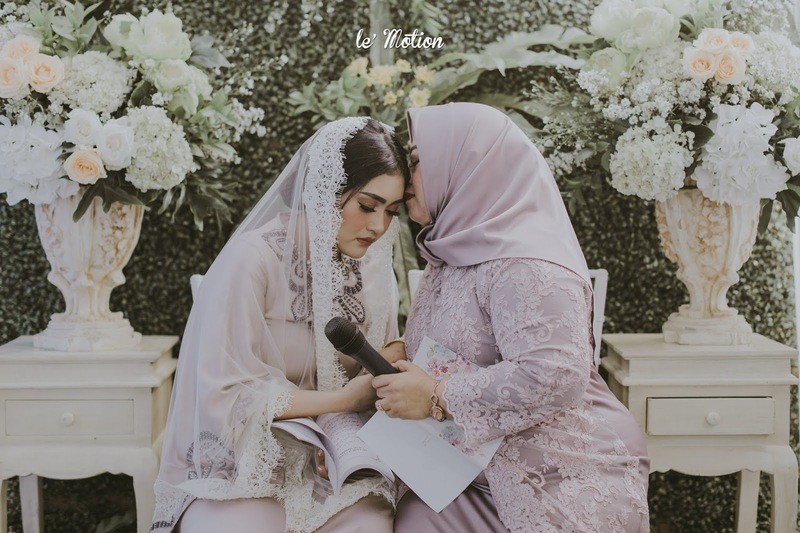 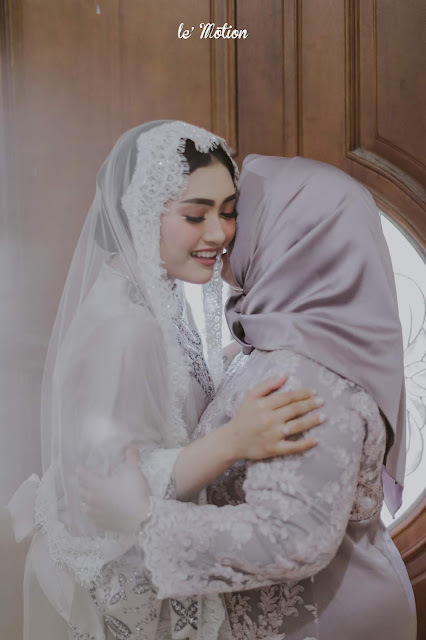 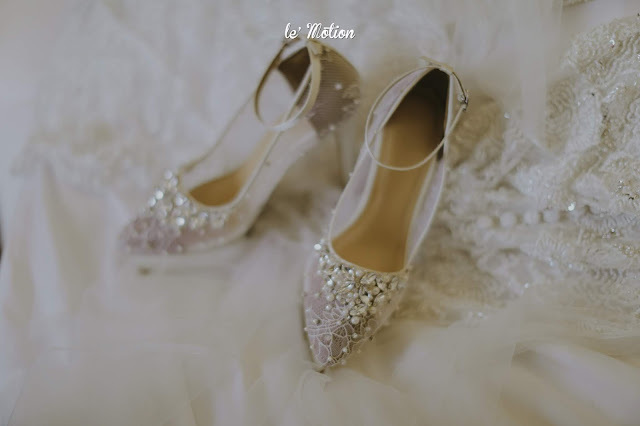 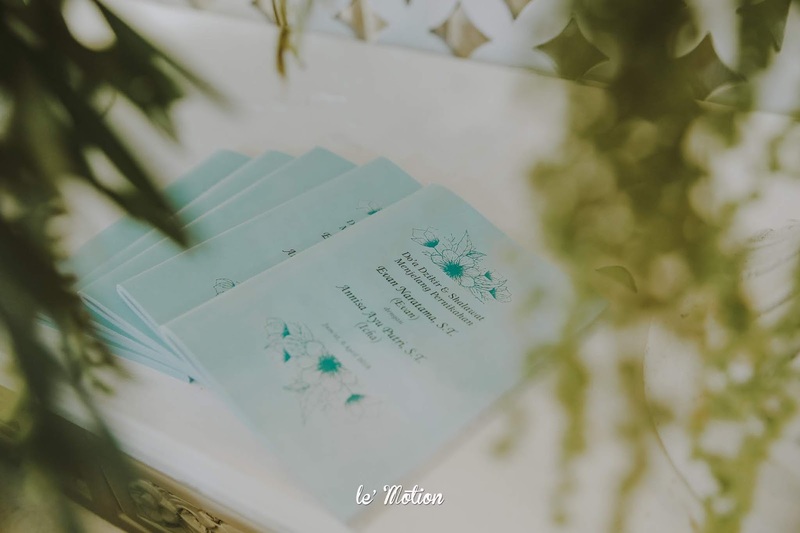 Firstly, the groom must deliver his intention to marry the bride in Pantun (funny and short poems), then the bride will reply in rhyme. The purpose behind this is to demonstrate the groom's intelligence. 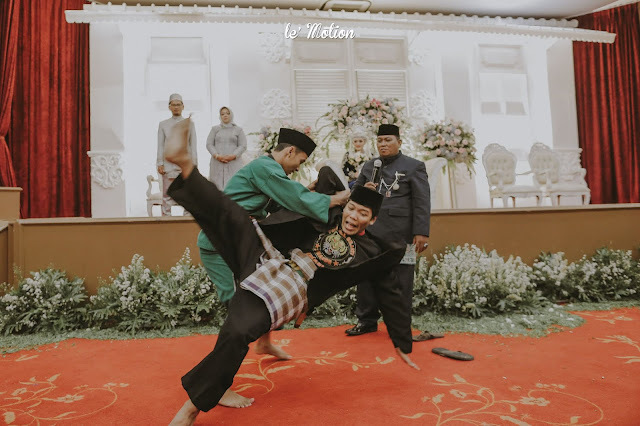 Secondly, the groom must showcase his skills in martial arts in order to demonstrate his ability to fight and keep any harm away from the bride in the future. 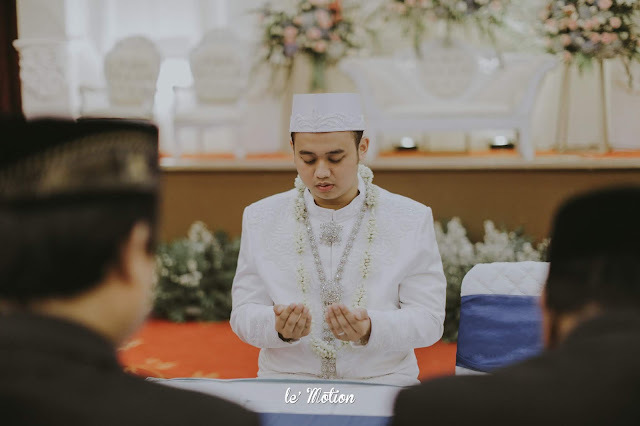 To end off the ceremony, the groom must recite some verses from Holy Qur'an to symbolise his leadership skills. Finally, the groom will be let in to start the Akad Nikah (wedding vows). 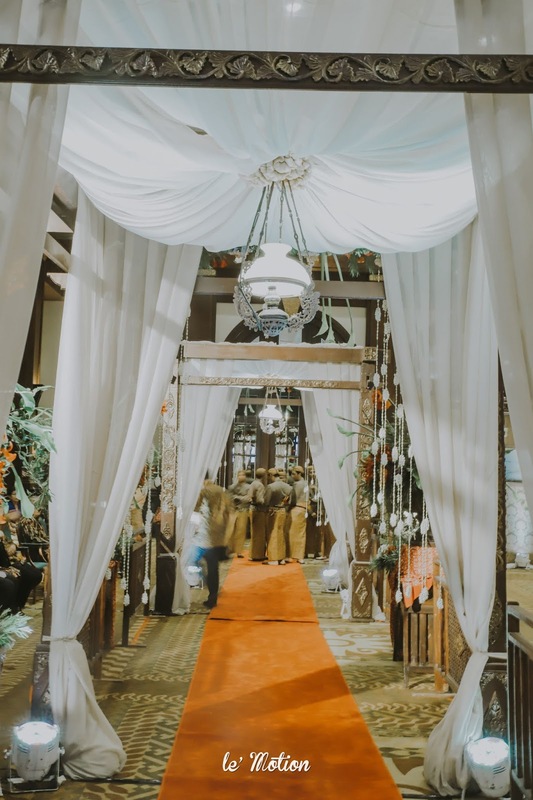 The Palang Pintu ceremony is supposedly done before the Akad at the bride's place. However, due to one thing and another, Icha & Evan performed the Palang Pintu ceremony after their Akad were spoken at their wedding hall. Nonetheless, the ceremony still went as jolly as it should be. 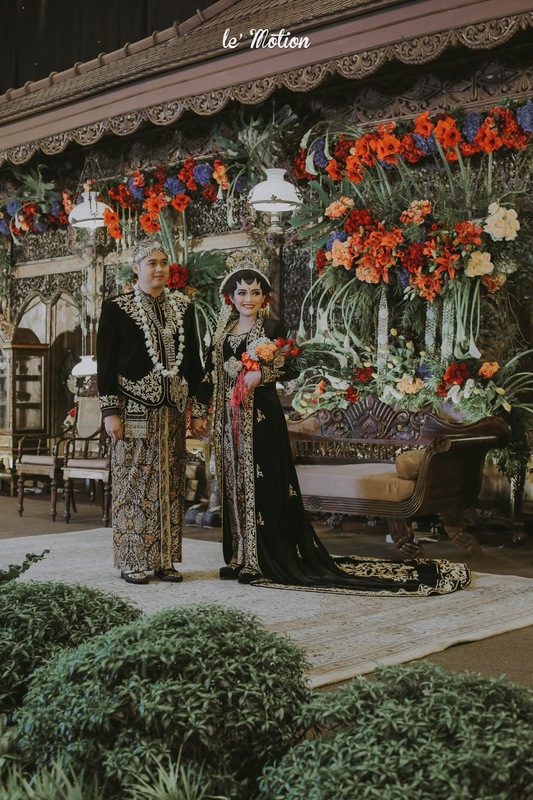 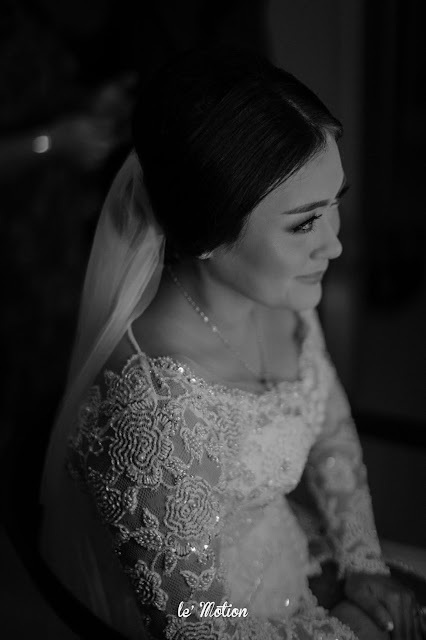 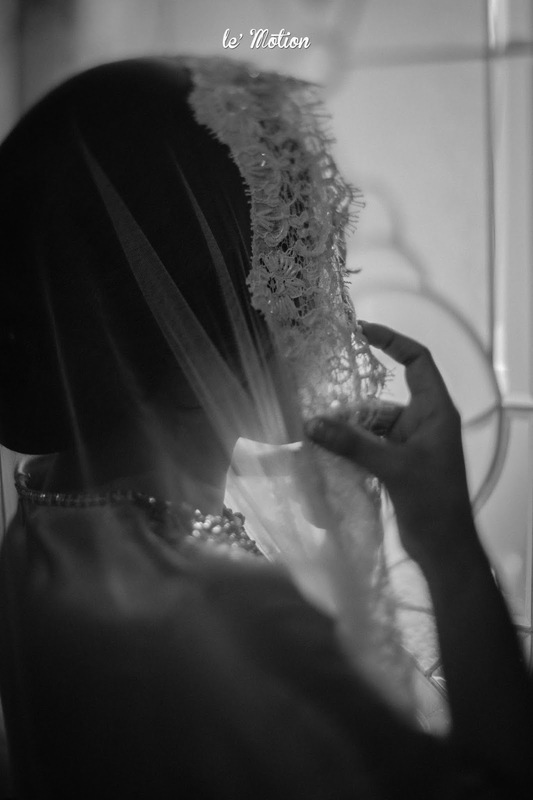 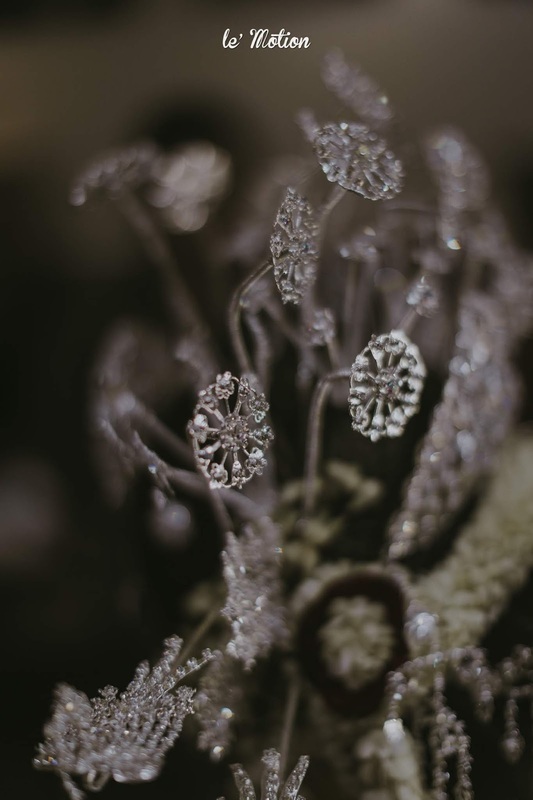 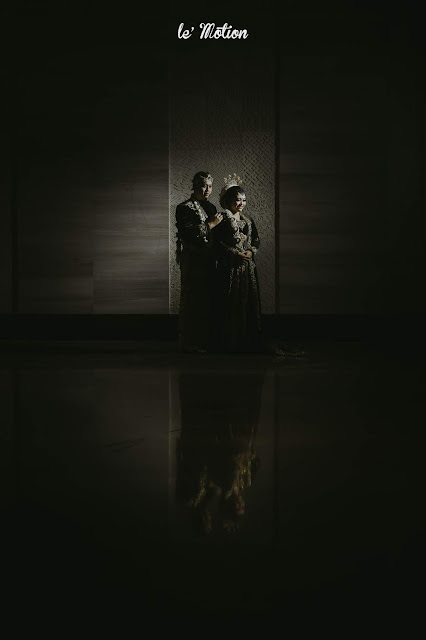 For their wedding celebration later in the next day, they chose to adapt Javanese traditions. 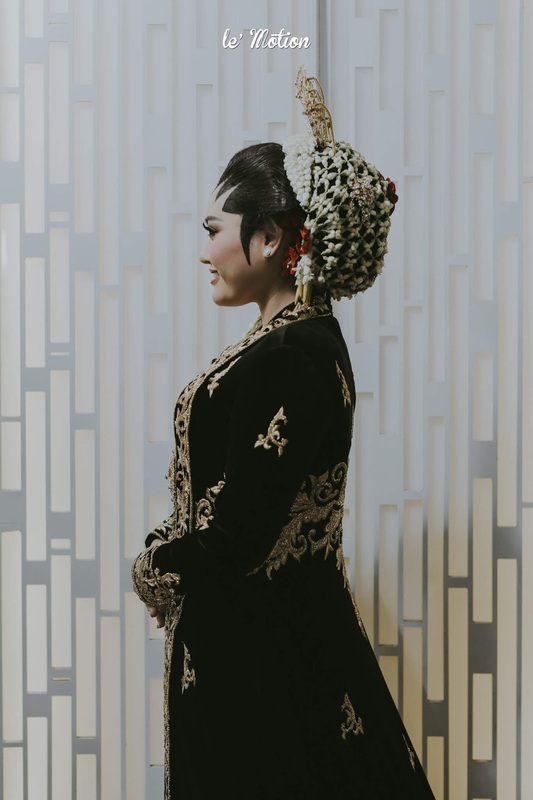 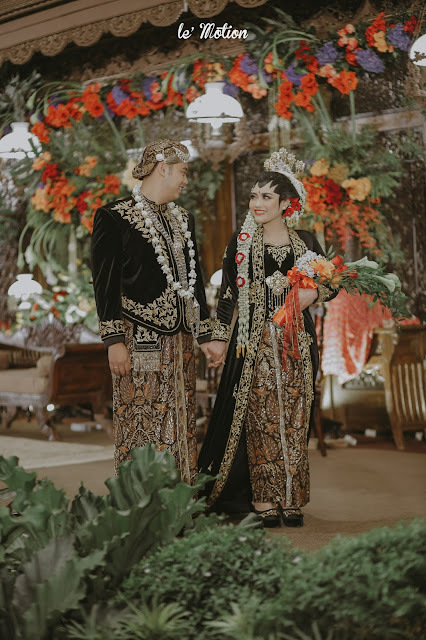 Dressed in black suede traditional Javanese wedding attires with gold accents all over them, both Icha & Evan looked edgy and classy. 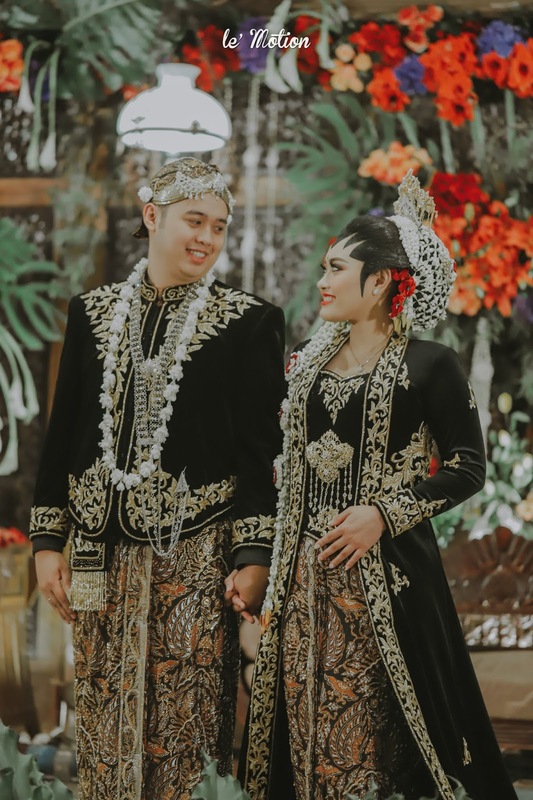 Black color, according to Javanese culture, is considered as a symbol of wisdom and integrity. 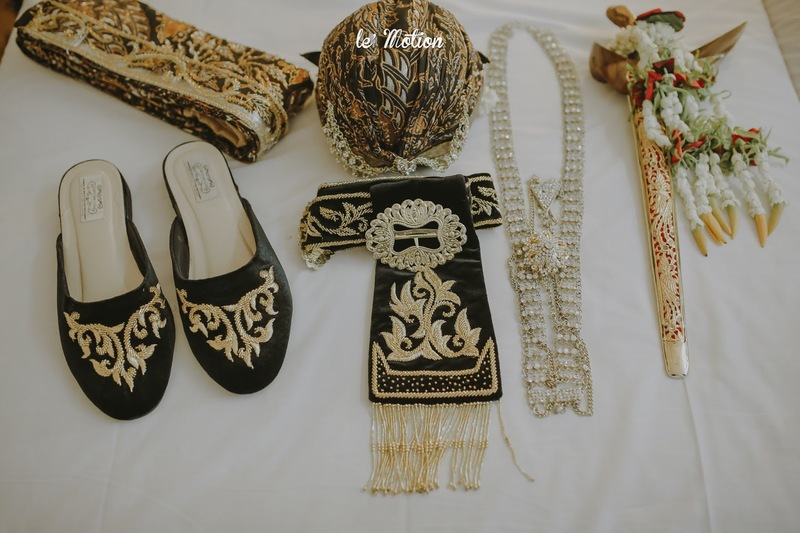 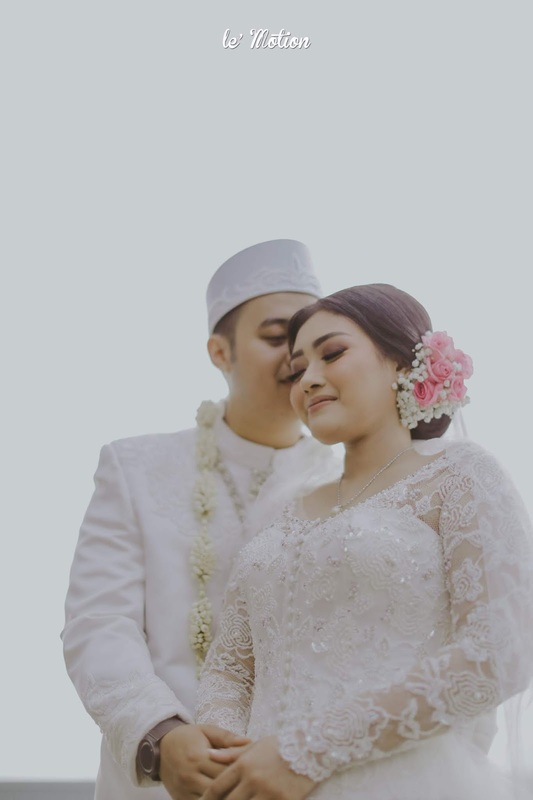 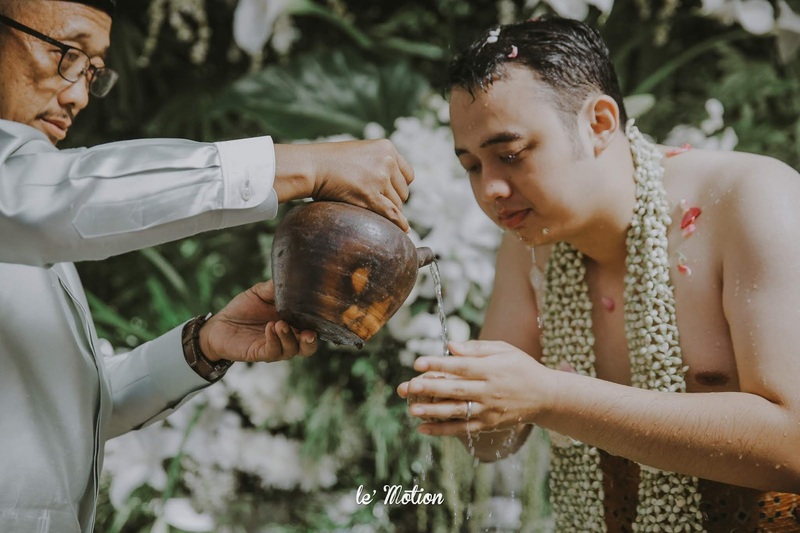 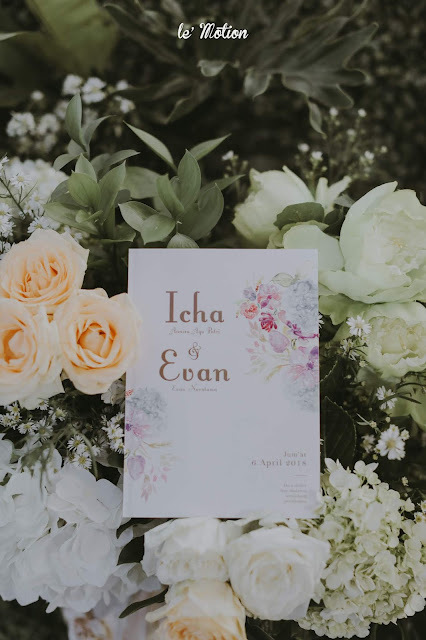 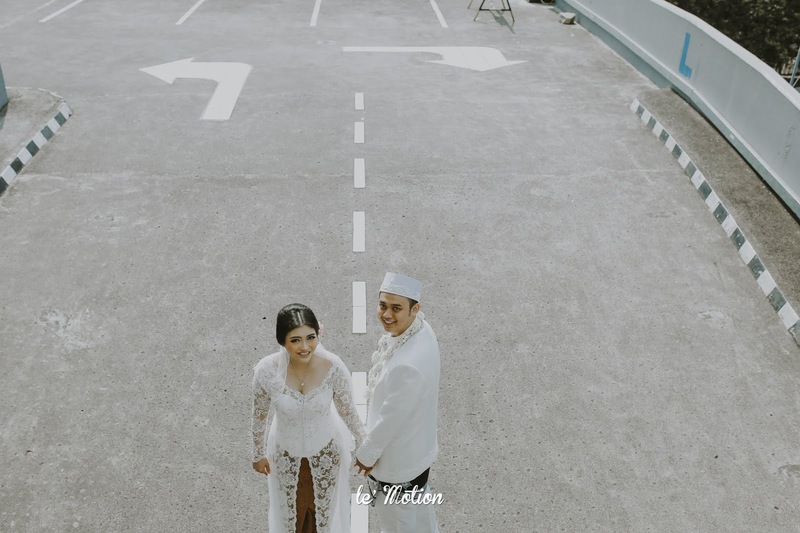 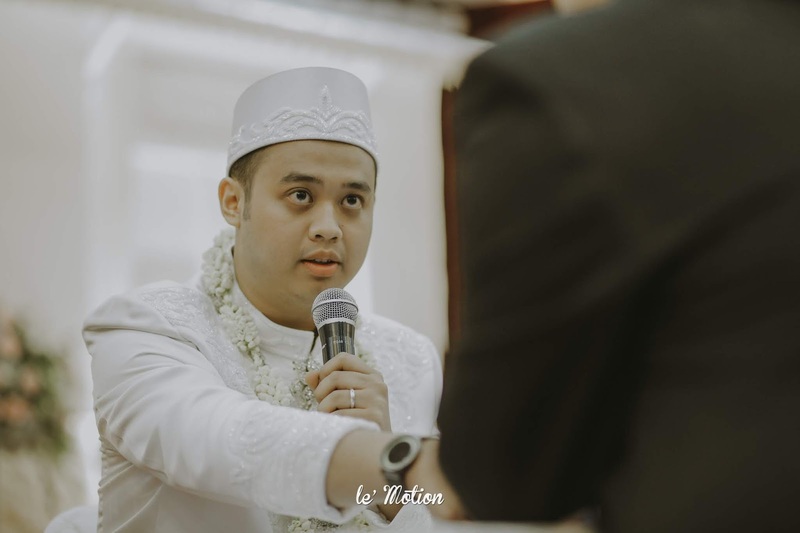 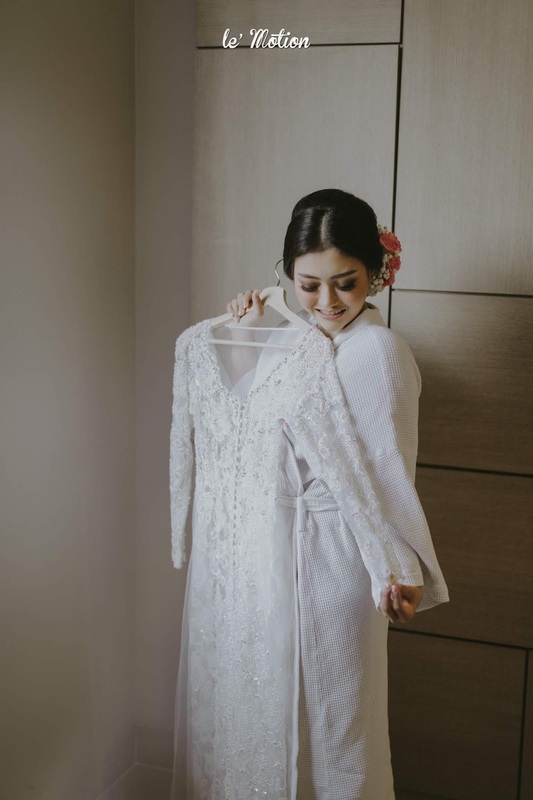 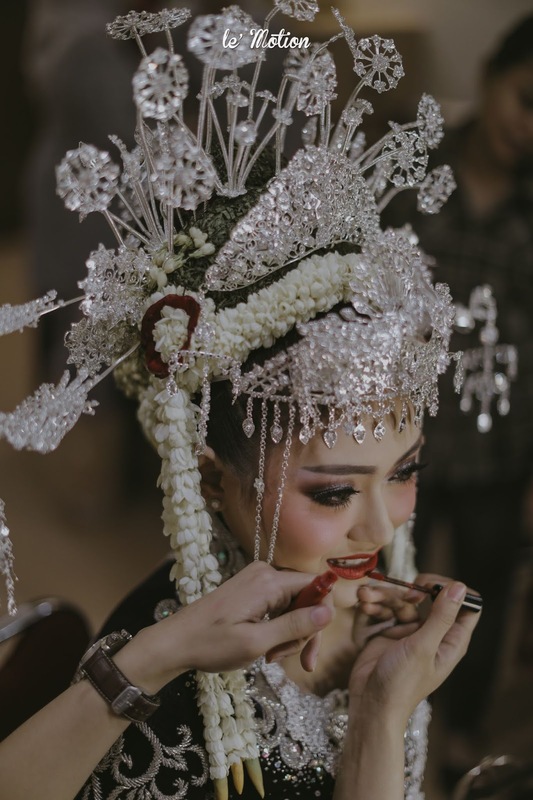 Although Icha & Evan did not execute the whole set of traditional rituals from both cultures (Betawi and Javanese), but the details in their wedding make a very memorable and beautiful moments to us. 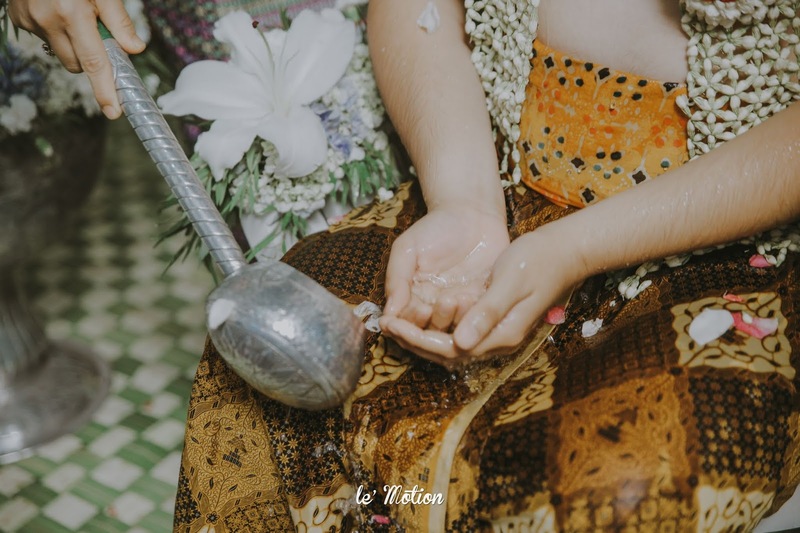 The most important thing as a present generation is to preserve our indigenous cultures, ethics, and traditions and not forgetting our roots. Congratulations to our lovely newlyweds, Icha & Evan! 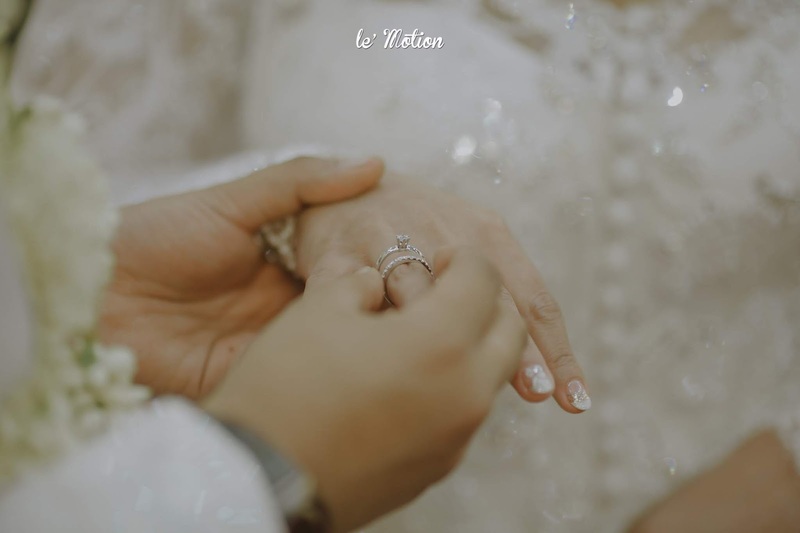 We wish you an everlasting happy marriage.